Located in Suzhou,Soochow University is a key comprehensive provincial university in Jiangsu Province and also one of China’s top 100 universities under the“Project 211” directed by the Ministry of Education.Better equipped and more robust, Soochow University has grown into a first-rate university in China, covering a wide range of academic disciplines and enjoying a fairly high reputation both at home and abroad. 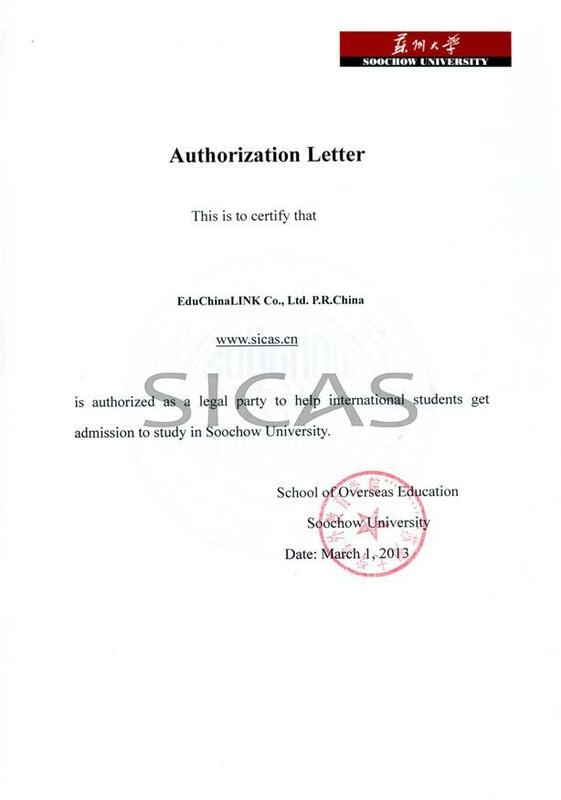 Soochow University is situated in Suzhou, a city crowned as "Paradise on Earth". Originally founded in 1900, SUDA, with the long-term evolvement, has developed top teaching experience in the area of MBBS, including Clinical Medicine, Preventive Medicine, Medical Psychology, among which Clinical Medicine is taught in English. What’s more, Soochow University has established cooperative and exchange relationships with over 100 universities and institutions in United States, France, Germany, Australia, Russia, Korea, Singapore, Thailand, etc. One in 25 students is an international student on the campus. 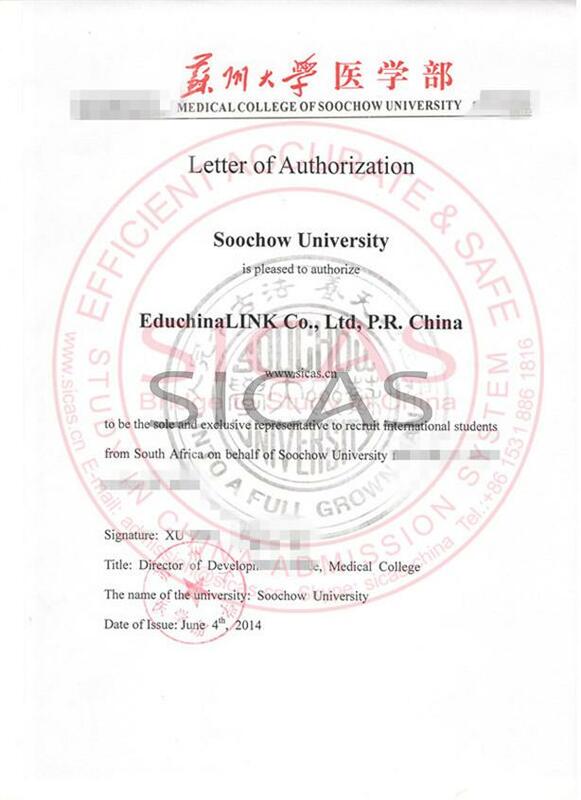 If you are ready to study MBBS in China, Soochow University is strongly recommended for you by SICAS.